Milo is a versatile seating solution that is well suited to a wide range of interior applications, including meeting areas, offices, cafeterias, classrooms, and waiting rooms. Milo’s molded back contours to the user’s body and is perforated to allow for advanced airflow and circulation. 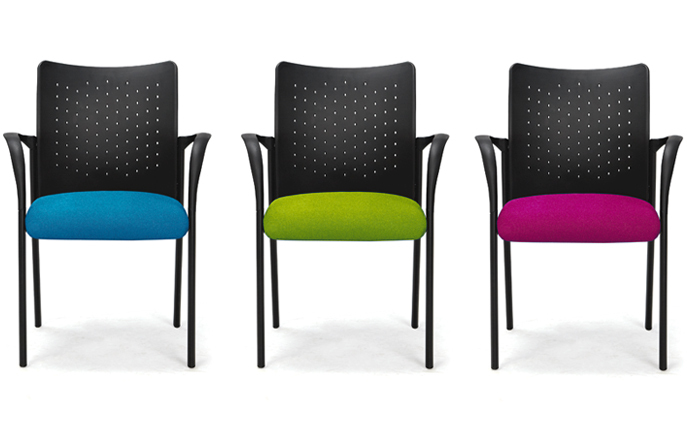 The Milo series is offered either with or without arms and is standard with a breathable black fabric seat. In addition, Milo series seating is available with a re-upholstery option, allowing customers to choose from a variety of textile selections.